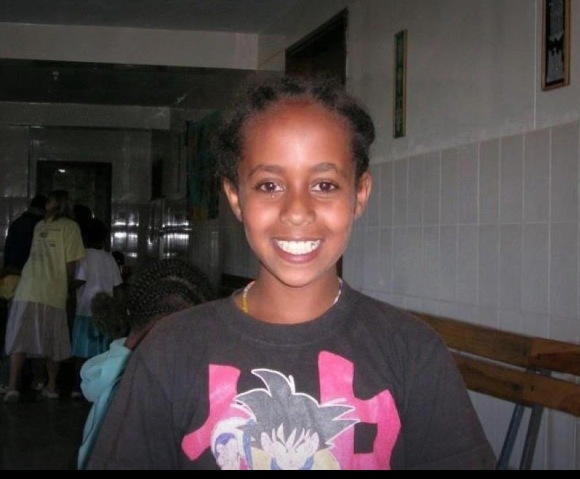 So many people around the world keep Hana Alemu (Williams) in their hearts. Many of us have also hoped for a positive legacy, something good that might come from the tragedy of her suffering and death. To its credit, Washington state has been working to improve pre-adoption standards and post-adoption resources in light of Hana and other adopted children. In 2012, the Washington state Office of Family and Children’s Ombudsman produced this sobering document: “Severe Abuse of Adopted Children Committee Report.” It contained many excellent recommendations to strengthen adoption policy, for private, foster care, and international adoptions. Yes, I know for some folks it’s not enough. Still, it’s progress, and other states would do well to look at it as a guideline. This past Tuesday, (February 11, 2014) HB 1675 was again considered by the House, and was amended slightly. It passed the House by a vote of 98-0. That is very good news. For the most current version of the bill, click here: HB 1675 as passed by the House. There are few especially significant parts to the bill. Pertinent laws and regulations; ethical considerations; cultural diversity; factors that lead to the need for adoption; feelings of separation, grief, and loss experienced by children; attachment and posttraumatic stress disorder; and psychological issues faced by children. While I have no insider information, I can’t help but think of Immanuel Williams (Hana’s adoptive brother) and his diagnosis of PTSD, and wonder if the legislators didn’t have that in mind as they crafted the language. I also credit them with insisting that home study preparers be knowledgeable about all of the factors above. The report shall be based on a study which shall include an investigation of the home environment, family life, existence of extended family and community connections to serve as support, planned approach to child discipline and punishment, health, facilities, and resources of the person requesting the report. On all preplacement reports filed after January 1, 2015, the preparer shall verify that the prospective adoptive parents were provided with: (a) Copies of Washington state child abuse statutes and (b) the list of informational and resource materials developed and posted pursuant to section 7 of this act. Section 7 of the bill is a new provision that requires the Washington state Ombudsman for Children and Families to convene a work group every two years that compiles a list of “informational and resource materials that must be provided to prospective adoptive parents.” Included on the list must be information such as child abuse statutes and rules in the state; availability of mental health services; training and educational opportunities for parents in general and adoptive parents in particular; respite services; ethnic and cultural organizations; and information, services, and outreach opportunities available to adopted children. That is a big deal: requiring a state to provide much-needed, current, and useful information and resources for adoptive families. By December 31, 2014, if the bill passes as it is currently written, the list will be posted on the Washington Office of Family and Children’s Ombudsman’s site and disseminated to agencies and others. I see this legislation as a legacy of Hana. There are some folks, especially those who have kept her story alive and honored on her Facebook page, who would like to see the legislation called “Hana’s Law.” My understanding is that legislators see this law as having a wider focus, covering other children as well. In any case, the unanimous passage of HB 1675 is a positive development. Here’s hoping it moves quickly and successfully on the Senate side. David Guterson is well-known for his books, such as Snow Falling on Cedars. He lives on Bainbridge Island, a quick ferry ride from Seattle, with his family. Like me, he is an adoptive parent, and has followed the Larry and Carri Williams’ case closely. Today’s Seattle Times (September 12) included this op-ed by David, urging an overhaul of Washington State adoption laws. David writes that “efforts at adoption reform should focus on vetting prospective adoptive parents and on insuring that children are not placed in homes where they will be abused. Current preplacement and home-study practices don’t work. I testified earlier this year in Olympia on behalf of HB 1675, a bill David cites in his op-ed, to bring about some of the changes needed in terms of preparation and home study requirements. Information about the bill is available in my post here, “In Remembrance of Hana.” David also notes in the op-ed that the bill, unfortunately, went nowhere. Here’s hoping that the Washington State legislature will be more open and brave in bringing about much-needed changes to protect children. I also hope the voices of adult Ethiopian adoptees will be an important part of the legislation and the reform process. As I wrote in my post Hana’s Legacy, strong, meaningful adoption policy reform would be a long-lasting tribute to her brief but valuable life. 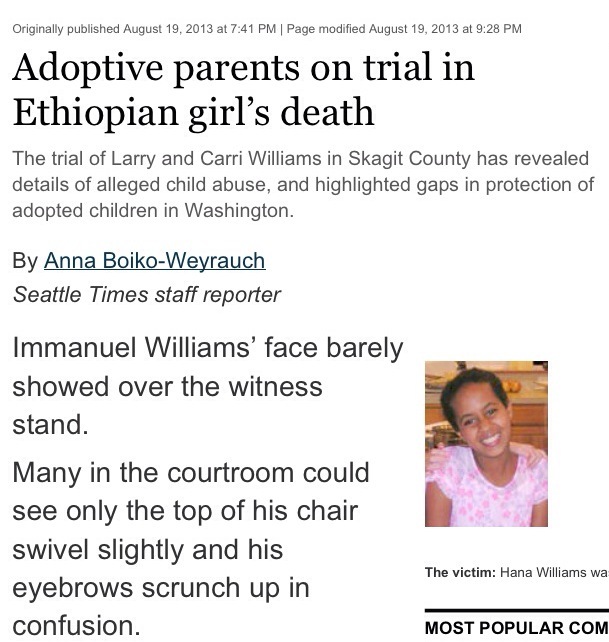 Yesterday the Seattle Times published “Adoptive parents on trial in Ethiopian girl’s death,” about the ongoing trial of Larry and Carri Williams for homicide and manslaughter of their adopted Ethiopian daughter Hana Alemu, and for first degree assault of their surviving adopted Ethiopian son Immanuel. Click here to read the article. I’m quoted, along with several others. I spoke with the reporter for nearly an hour. I appreciate that she wrote a strong article outlining main points, and that the Seattle Times put the article on the front page, above the fold. While there has been solid local reporting by Skagit Valley Herald’s Gina Cole, and film and stories by KIRO-TV’s Lee Stoll, this is the first large newspaper coverage of the trial. It could be a sign that the trial will begin to receive more attention from bigger media outlets, though perhaps that won’t happen until the verdict is announced. That announcement is probably weeks away. The article comments on the role of Washington State laws and policies regarding oversight of adoptions, and the concerns of many in the adoption community about how to prevent a tragedy like this from ever occurring again. I’ve written here about how the adoption community failed Hana. I’ve written here regarding questions for adoption agency practices. Per my quote in the Seattle Times article, I believe preparation for adoptive parents needs to improve, so that they can best meet the needs of the children, who may have minimal or highly significant challenges. (At the least, adopted children have experienced the basic loss of their first family; some experience many more losses.) We need to make sure that anyone considering adoption is extremely well-screened, especially in terms of why they are adopting, and in terms of disciplinary techniques. I also believe we need to advocate for meaningful post-adoption services, and to affirm (not stigmatize) parents who seek out these services for their children. We also need to listen better to the insights of adult adoptees, whose perspectives are invaluable in adoption policy. When this trial ends, whatever the outcome, that’s not the end at all for the legacy we can create for Hana. The small one is a decent grave marker for Hana at the Sedro-Woolley cemetery. The bigger ones are advocacy for changes in adoption practice that are truly child-centric and adoptee-focused: changes that ensure that children are safe and families receive help and support when they are struggling. Further, I hope that awareness is raised for the plight of Ethiopian adoptees who have had some similar (though not so tragic) experiences as Hana and Immanuel, who are now young adults, and who deserve care and support as well. Immanuel, by the way, is done testifying. He described what he went through (beatings, isolation, missing meals, witnessing Hana’s treatment and death) and endured the defense attorneys’ cross-examination and their attempts to discredit him. Larry and Carri Williams are accused of first degree assault of Immanuel, so the defense attorneys’ job was to create reasonable doubt regarding the accusations. As a result, Immanuel was treated harshly on the stand by the defense attorneys. I give Immanuel great credit for resiliency and strength in testifying, in facing those who harmed him, in re-visiting what were extremely painful life events, and in standing his ground for his truth. He has the great support of so many people he will probably never meet, but who will keep him in their hearts always. Justice for Hana, justice for Immanuel. In Case Study, Part 1, I reviewed some of the background facts about the agency used in the adoption of Hana Alemu and Immanuel Williams. Regardless of the outcome of this case, we need to make changes in adoption policy, and engage in hard conversations that includes adoptive parents, adopted persons, and first parents. I challenge adoption agencies and licensing authorities in particular to step up. Here are Case Study Questions that leap to my mind, questions that deserve to be discussed, considered, and answered, by adoption agency professionals, social workers, families, legislators, and more. Home studies and post-adoption services need to be examined closely to ensure they meet the needs of families, and especially of adopted children. Why did the Williamses decide to adopt two older children from Ethiopia? What discussions did they have in the home study process with their agency, Adoption Advocates International (AAI), about the reasons? How did the family afford the adoption, which must have cost at least $20,000? (People don’t have to be wealthy to adopt, though adoption can be an expensive process. The US government has prospective adoptive parents of internationally adopted children sign a form that they have sufficient income not to become a burden on the public system (welfare, food stamps, etc.). In the case of the Williamses, one modest income and 11 people (2 adults, 9 children) had to have been a challenge. Did the Williamses use the adoption tax credit? Did AAI tell them about it? If so, did that influence their decision and ability to adopt? How did the home study address the discipline techniques of Larry and Carri Williams? Were there any red flags? What agreements did they sign regarding discipline and punishment? Did they violate any of those agreements? Carri Williams apparently expected/wanted a little girl through the adoption. How did the AAI social worker address Carri’s wishes in the home study? What age child/children were the Williamses approved for by the home study, which also had to have the approval of the US State Department? Did Carri Williams realize, prior to Hana’s arrival in the US, that Hana was at least 10 years old? If not, why not? What sort of conversations and discussion did the home study actually involve? Was this conflict discussed in post-placement agency work? If not, why not? In the home study process, did the adoption agency suggest that the Williamses connect with the Ethiopian community in Seattle and elsewhere? Did Larry and Carri know any Ethiopians, any Ethiopian-Americans? Did they know any people of color? In the home study, what resources did the Williamses indicate they had as a support system for the post-adoption needs of 2 older, Ethiopian children, and of the family as a whole? Did AAI feel these were sufficient? Did the Williamses complete their mandated 10 hours of pre-adoption preparation on-line, as is allowed by the Hague Convention? How did the social worker prepare and include the 7 Williamses’ children in the discussions about how their lives would change with the addition of two children? The Williamses did not ever travel to Ethiopia, though in 2008 this was standard practice for families adopting from Ethiopia. Why didn’t one or both travel? The travel could have involved their meeting birth family members of both Hana and Immanuel, as well as seeing the country. Might that have made a difference in their approach to the children? In terms of information provided to the Williamses by AAI, did that information include resources for post-adopt services, such as counseling, therapists, respite care, adoptive families, adult adoptees, the Ethiopian Community Center, etc? Did the Williamses sign any agreements regarding their knowledge of post-adopt resources? Did they sign any agreements that they would contact AAI if they needed assistance and/or support? How hard did AAI press the Williamses’ to send in the Post-Placement Reports? 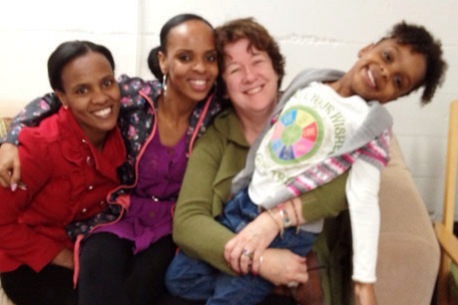 (Ethiopia requests all adoptive parents to send post-placement reports annually until the child is 18. They want to know that the children are alive, safe, and cared for, in terms of health, schooling, and overall well-being. Once an adoption is finalized, it is up to the adoptive parents to comply; there is no enforcement mechanism. These reports are different from the reports required by the US to finalize the adoption. These are reports based on the agency social worker’s visits and/or conversations, plus information on adjustment, medical evaluations, and so on. These generally take place 1 month, 3 months, 6 months, and 12 months after a child’s arrival. Regardless of the outcome of this case, these questions about the home study process and about post-placement resources all deserve further consideration by international adoption agency staff, not just AAI but all agencies, as well as the Council on Accreditation, Joint Council on International Children’s Services, the US State Department–Office of Children’s Issues, and state licensing agencies. Most international adoptions do not have these publicized, horrific outcomes. We don’t know, though, how many international adoptees, Ethiopian or otherwise, are suffering under the radar, because of insufficient preparation and post-placement services. We do know that hundreds, if not thousands, of adoptive parents seek advice and support on-line, and not from their agencies. The parents have many questions and they need lots of help, which they seek out from strangers on-line. Post-adoption services are vitally needed. What is the adoption agency response to this? What is the State Department’s? COA’s? What are their responsibilities? it doesn’t lessen the horrific tragedy, but perhaps one positive legacy could be an overhaul of the adoption process, in a way that ensures safety, transparency, and integrity. I hope for this, and for justice for Hana. 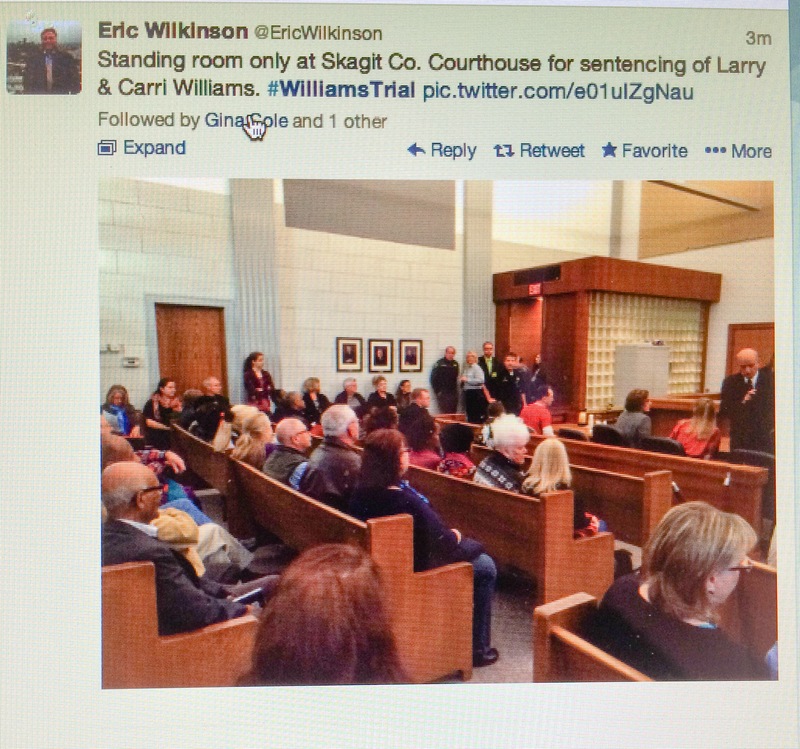 For ten days, I attended and blogged about the trial of Larry and Carri Williams. The response has been amazing: over 6,000 views of trial-related posts just in the last week. Since I started blogging on July 22, there have been over 5,000 visitors to my blog. Top views by country are, in order, the United States, Canada, United Kingdom, Australia, Germany, Switzerland, Ethiopia, Ireland, Haiti, and Denmark. I say all this just to share that there is great interest in this case around the world. I would like to think that this interest in my blog indicates hope that justice will be achieved for Hana. I am very grateful to those who have read my blog, have shared my posts, and have commented. Many thanks to those who have shared kind thoughts with me, and expressed support for Hana and Immanuel. I’ve driven over a thousand miles over the ten days to attend the trial. I’ve attended not because I am a lawyer, journalist, or social worker, but because I’m an adoptive parent and a former adoption agency professional. I would not qualify for the jury for several reasons: I don’t live in Skagit County, and I have strong feelings (about adoption, about Ethiopian adoption, about child abuse) that would have colored my ability to be impartial to the defendants. I also wouldn’t have qualified because (like many prospective jurors who were dismissed) I have upcoming vacation plans with my family. As of Monday, August 5, I won’t be in the Skagit County court room, but will be heading for the east coast. My time east includes attending an Ethiopian Heritage Camp in Virginia with my daughters and granddaughter. You can read more about that in this post. I will be presenting a workshop there, and my Ethiopian daughters are on a panel about Growing Up in America. I look forward to talking with folks there (Ethiopians as well as adoptive parents of Ethiopian children) about their views on the trial. During my time on the east coast, I will still be commenting on the trial and posting updates. There may be guest bloggers who attend the trial and post on my blog. Gina Cole of the Skagit County Herald has been attending and writing articles daily. Gina is also tweeting at #Williamstrial. Please read her articles and follow her tweets. Also, be sure to check the Facebook group, Remembrance of Hanna Williams. Media updates are posted there as well. If the trial is still underway by the time I am back, around August 22, I will again attend and post as often as possible. Regardless of the jury’s decision, I hope that the outcome of this trial will include a thoughtful examination of adoption policy and practices, conversations about ways to better protect children, and strategies to assist Ethiopian adoptees and others who may have endured (or are enduring) abuse by adoptive parents. I will continue writing and speaking out, and I encourage you to do the same.